23331 Foxberry Ln, Estero, FL.| MLS# 218079518 | Southwest Florida Residential Real Estate for Sale. This RECENTLY UPGRADED 3BR+Den Arthur Rutenberg Bardmoor model is located in the Tamarind Trace Community in Shadow Wood. The home is close to walking and biking paths and situated with stunning views from the front and back. The back of the home overlooks the lake on the 16th fairway, while in front there is an unobstructed view across the green and down the 15th fairway. The home has a custom kitchen featuring granite counters, stainless steel appliances, a wine fridge, a built-in desk, and a large center island for plenty of work space. The home also features custom cabinets in the great room and den, a master bath with spa tub, a 60-inch big screen TV, wood accents, crown molding throughout, enlarged mitered glass bay window, central vac, landscape lighting, outdoor kitchen, and a heated pool with a stone waterfall feature. 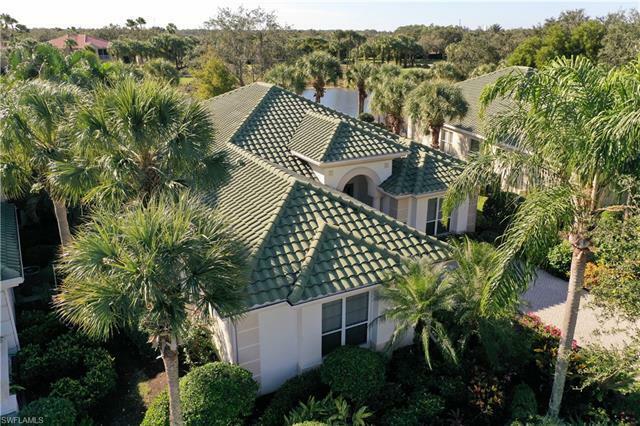 Located in the prestigious Shadow Wood at the Brooks golf, tennis, fitness center, private beach, and dining memberships are available. The home is offered with or without furniture at the option of the buyer. © 2019 Bonita-Estero MLS All rights reserved. Information deemed to be reliable but not guaranteed. The data relating to real estate for sale on this website comes in part from the Broker Reciprocity Program. Real estate listings held by brokerage firms other than Royal Shell Real Estate are marked with the BR logo and detailed information about them includes the name of the listing brokers. Listing broker has attempted to offer accurate data, but buyers are advised to confirm all items. Information last updated on 2019-04-23.